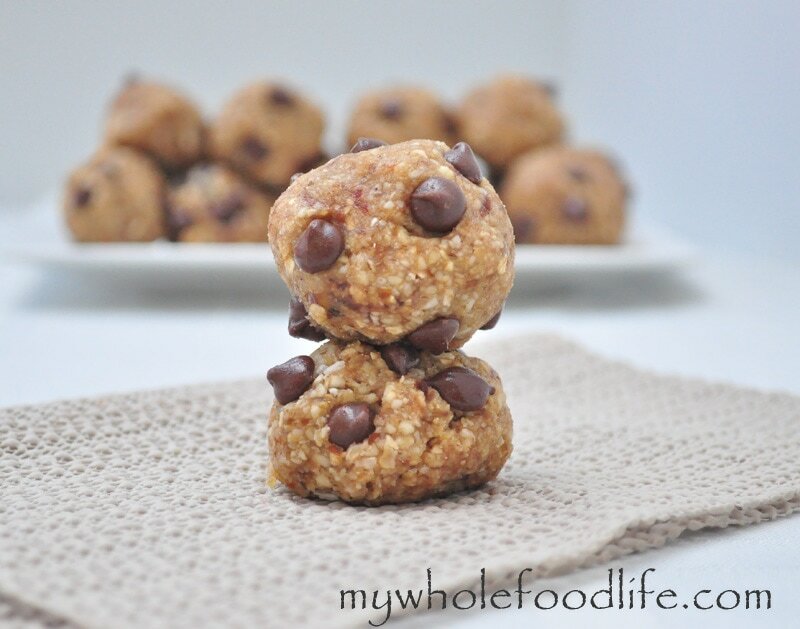 Almond Joy Energy Bites. This past Sunday, we made Almond Joy Waffles for breakfast. They were a big hit so I decided I would try some almond joy energy bites with similar ingredients. My husband liked these healthy vegan almond energy bites so much, that I had to stop him from eating them all. I still needed to take pictures. A common food blogger problem haha! It’s funny because as soon as he gets home from work, I am shoving things in his face to taste test. I like to get his approval as well as my three year old. She helped me make these and kept trying to sneak the batter when she thought I wasn’t looking. Sneaky sneaky. Can’t say I blame her. They are delicious! In a food processor, mix the almonds and coconut until they are fine. Then add the dates, coconut oil and water and continue to pulse until you see a dough start to form. Roll into balls and place in the fridge to firm up. I got about 12 balls out of my batch.